Do You Need to Add a Subwoofer to your Speakers? As a DJ or musician, a lot of work goes into perfecting your craft. One of the greatest rewards you can reap from all the work you put into developing your sound is being able to play it for other people. 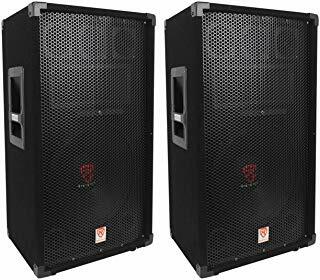 A good PA speaker can really showcase the effort you’ve put into your music, and a bad speaker can leave your music sounding jumbled and subpar. Your speaker is an integral part of your gear, so you want to make sure you’re getting nothing but the best. There are a lot of great speakers out there, so how do you decide which are worthy of showcasing your craft? High powered, high tech, and high quality, you’ll love the sound this speaker delivers. This speaker delivers engineer quality sound that’ll impress any crowd, no matter how critical. This compact speaker cabinet has crystal clear and high-powered sound that you can rely on. This is the most powerful speaker on our list, with plenty of professional customization options. Solo artists and small ensembles love this speaker for its overall great function and durability. This 10” Rockville speaker delivers an impressive 600 watts, which is surprising considering its compact size. The volume delivery is some of the best out there, even surpassing some 1500 watt speakers. If you've already got a lot of equipment and components to keep track of, don't worry,this speaker contains all the input options you need so it'll work with your existing gear. Since it's a powered speaker, you don't need to worry about carrying around an amp and adding to your baggage. This expertly designed DJ speaker provides a big boost to sound quality and impact. You’ll get audio engineer technology, coupled with super durability, which helps when you’re traveling and gear gets shuffled around. The whole speaker is designed to provide the best quality audio and maximum sonic impact thanks to the specially designed drivers and custom D class amplifier module. This Yamaha speaker cabinet measures in at a super convenient 8", but don't let the size fool you. You're getting nothing but top tier, crystal clear sound projection with this one. If you're not convinced, just take a look at the power it delivers: first, it's powered at 700 watts with a two-way operation. Then, you've got the class D power that delivers at 1100 watts. Even at both your upper and lower frequency limits, you're getting the true sound - not tinny, metallic whining with high tones, or messy, jumbled bass on the lowest tones. Since the input panel is so well designed, it contains everything you need. No matter what kind of inputs you're already using, this speaker is already compatible. These QSC active DJ speakers come from a company with a legacy of super high-quality audio innovations, and this speaker lives up to its legacy. 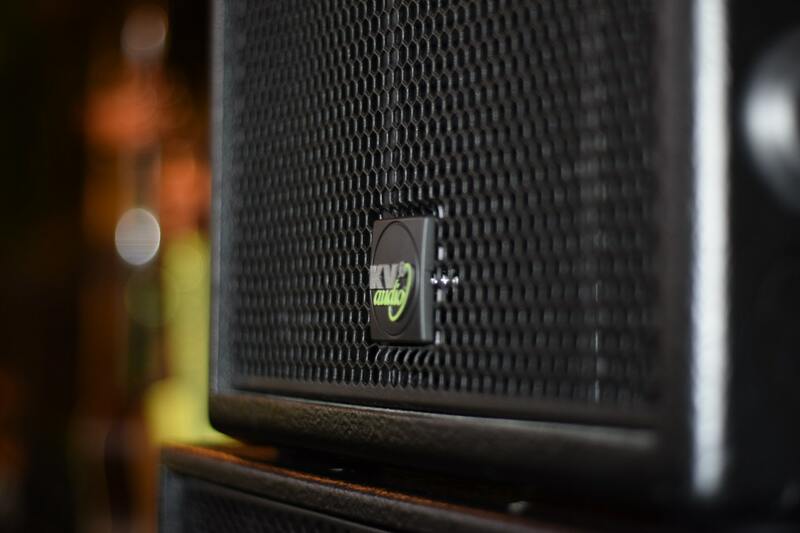 It's definitely the highest powered speaker on our list, operating at an impressive 2000 watts. Yes, you read that right. It's not just about the power either; this speaker gives a cinema-quality sound that comes through for any kind of musicand for any instrument or equipment you can think to hook it up to. You'll get a ton of extra features to custom mix and optimize your sound, too. From the display menus that make it easy to adjust all components of your music output, to the ability to adjust the sensitivity of your chosen inputs, this speaker can turn any DJ into a superstar performer. 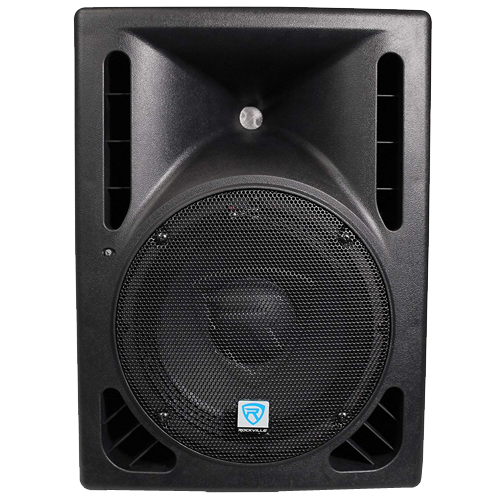 This PA speaker provides plenty of techs to get your gear connected, while making a smaller venue sound like a concert hall. At 200 watts, it's got a lower power than the other speakers on our list, but don't let that turn you away; this speaker made our top 5 list because it seriously delivers high impact sound and has the quality you should expect from one of the best speakers on the market. It's specifically designed and shaped to provide clear sound quality even at your very upper ranges. You've got an integrated 3 channel mixer with this speaker, and an added built-in equalizer for each channel too. Add to that the capacity to wirelessly link stereo signals between speakers, and the super extended Bluetooth range, and you have an easy to use, easy to move PA speaker. Speakers come with a large range of wattage options. Wattage is going to determine the maximum power levels you can achieve in a certain range. If you’re not planning on playing to a crowd of more than 100 to 250 people, a speaker that can handle 500 watts is more than sufficient. If you’re playing for a crowd much larger than that, you’ll want to invest in a speaker with a higher wattage. Helpful Tip: Most speakers include information to tell you suggested crowd sizes based on the speaker’s wattage and power. Check the manufacturer’s information if you’re unsure. Weight: look at the overall weight of the speaker, with any accessories included. If you really need a heavy speaker, make sure you have plans for help to move it. The materials used in the speaker's manufacturer can make a difference too. Wood speakers are heavier, while combined plastics are still durable, but much lighter. Combined (active) or a two-part piece (passive): Active speakers don't need a separate amp to power them, which means you have less gear to transport. Passive speakers do need a separate amp, so if you want the benefits of a passive speaker, be ready for an extra piece of gear. Wheels, handles, and more: Some speakers were made with the traveling DJ in mind. They’re designed with wheels on the bottom, whether on both sides or just one. Likewise, some also have handle or straps to make moving them easier. If you’re moving your gear a lot, these features can be a big bonus. Speakers have different volume and frequency ranges that they're best suited for. A lot of PA speakers can easily fit for general use, but if you have a specific need for your music, make sure the speaker can handle it. It's also a good idea to see how much bass the speaker can project effectively since bass is a critical foundation of live music. Whenever you get a new piece of gear, it’s important to make sure it's going to be able to connect with your other equipment. Otherwise, you're looking at a whole lot of hassle messing with different inputs and connectors and you might end up looking at having to use a substitute bit of gear. Honestly, that’s far from ideal. Some speakers take care of this factor all on their own. How? Some DJ or PA speakers solve the issue of compatibility with existing gear by including all the input options you could realistically ask for (and some you didn't think to ask for). This can be a real bonus if you've already got a lot of gear, or have more than just a solo artist set up. The thing to watch for here is the expense. If compatibility is the sole difference in a higher cost between one speaker and another, be realistic with your needs and budget. If the speaker you’re looking into doesn’t include every available input option, don’t worry. Just make sure you check the input types the speaker allows, and double check your gear to make sure it works. A lot of speakers have some extra features that make them appealing to DJs in particular. These can include equalizers, mixers, reverb control, added bass, and other options that you can use to enhance the sound projecting from your speakers. Other popular features are often in the connections. Some newer PA speakers allow for Bluetooth connecting, or wireless signal transmission between speakers. Other speakers offer super intricate custom settings. Like most other features you’ll see on the market, these can ultimately have a big impact on the price you’re going to pay. Don’t get a speaker without the extras that you really want and that will enhance your performances, but there’s no need to bust your bank account for features you’ll never use. Technically, you don't have to add a subwoofer to your speakers. Subwoofers are huge speakers that specifically cater to the bass frequencies at the lowest end of the range. Much like extra features included in speakers, you can choose to add one or not. Subwoofers do make your whole set up less easy to travel with. That being said, DJs, in particular, consider a subwoofer a staple of their gear. It’s a good idea to add asubwoofer. It projects bass in ways that speakers alone cannot. Especially if you’re playing reggae, metal, heavy rock, or other deeper genres that really focus on a strong, rich bass and powerful drum beats. It'll add extra quality and clarity to your beats, and it's pretty much essential for playing live. So if your speaker doesn't include a built-in option, it makes for a wise investment. 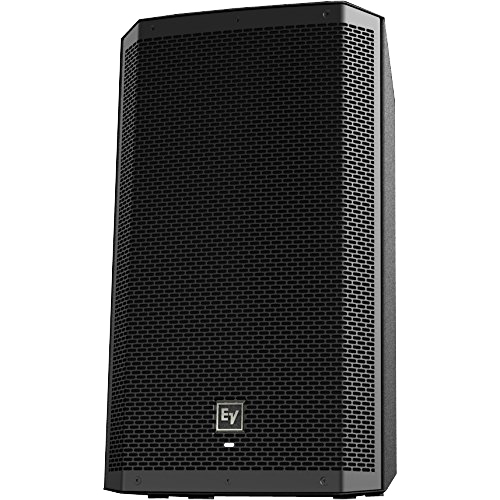 Our top 5 DJ and PA speakers really showcase the best quality you’ll find on the market today. We’ve picked them each because of their outstanding features and suitability for live performances. By using our list, and our tips on making your selection, you’ll end up with a speaker that’s a perfect fit to show off your musical abilities. You don’t want to spend money buying ones that are subpar, it’ll just be a waste of money. With your music gear, you do get what you pay for.